UPDATE #3: ITS has resolved the wireless issues in Thomas Hall and Hayden Hall. 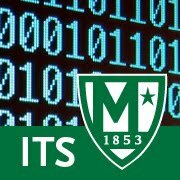 If you continue to have any wireless issues, please contact ITS at its@manhattan.edu or at extensions-7973. UPDATE #2: ITS is working with the wireless vendor to correct these issues. We apologize for this inconvenience. UPDATE: ITS has determined the issue and is currently working on correcting it. ITS had been made aware of an issue affecting the wireless networks in Thomas and Hayden Halls. We are currently troubleshooting the issue. We apologize for the inconvenience and will update this blog post with any updates.